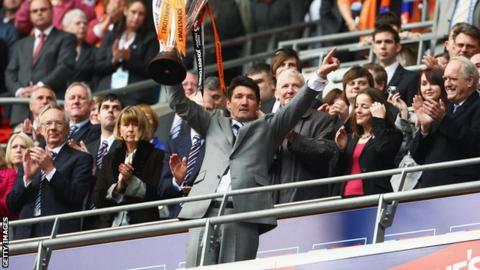 League Two side Luton have appointed former player and manager Mick Harford as their chief recruitment officer. Harford scored 93 goals in 217 games in two stints with the Hatters, before a spell as manager of the League Two club between January 2008 and October 2009. The 56-year-old's most recent role was as Millwall's head of scouting, a position he left in July. Meanwhile, midfielder Luke Guttridge, 33, has left the club after having his contract terminated by mutual consent. Guttridge joined the Hatters in July 2013 after his release by Northampton and won the Conference title in his first season with the club. The former Cambridge player made 74 appearances for Town, but has not started a game since the FA Cup win at Crawley in November.